Started using a new gadget called LoopPay. It allows you to pay wirelessly from your phone or with a removable 'card'. I actually started paying with my Android Phone a couple years ago with Google Wallet and an NFC chip inside my Google phone. It worked in many places, but the vendor needed to have an NFC reader. Most just fast food restaurants had these readers. It was neat, but never really gain much mass adoption. I switched back to an iPhone, two years ago for work and that ended my experience with 'paying by phone.' Apple did not have an NFC chip in the iPhone 5 series, so there was no way to pay by phone. Starting with the iPhone 6, Apple has finally included an NFC chip and introduced ApplePay, but is only supported by 2% of vendors currently. It is probably another year, before I can upgrade to the iPhone 6, so I went searching for other alternatives. 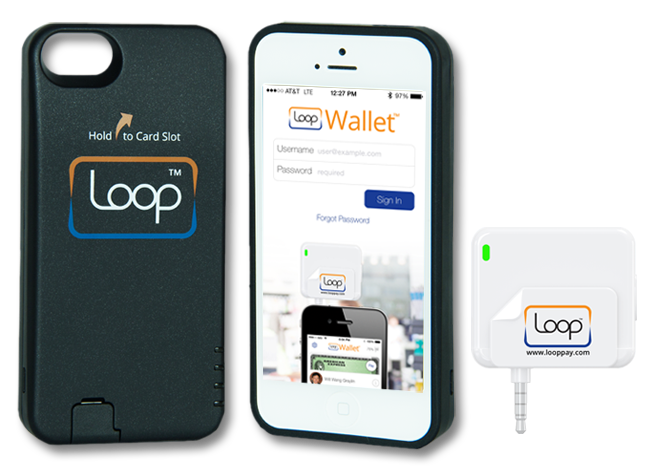 I discovered LoopPay as i was researching the simulated credit card players like Coin and Stratos. 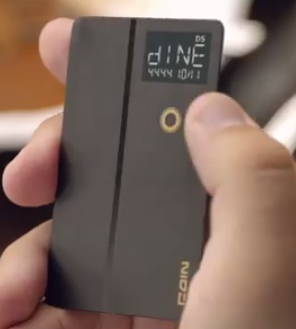 These guys are coming out with a credit card that you can link many card numbers into. You can change the credit card account and hand the card over to be swiped at any traditional credit card reader. I gave $50 to Coin over a year ago and still waiting for them to send me my card. Coin was an early kick starter campaign and they have had production delays. It was suppose to be out Spring of 2014 and now it is Fall of 2015. It sounds like it only works in 85% of the readers and they are trying to perfect that. In the mean, another competitor is beating Coin to the market. Stratos has come out with their programming credit card and say they will start shipping at the end of April 2015. Eventually, magnetic strip cards will be replaced with smart chips, so I'm not sure how much longer this technology will be useful. In almost every other country besides the USA, they are using smart chips instead of magnetic strip. It is only a matter of time. These cards do sound pretty cool, but I think they will not gain mass adoption either. They cost about $100 for the card and contain a non rechargeable battery. Once the battery power is consumed, then you need to buy another card. Estimates say that they should last 2 years. 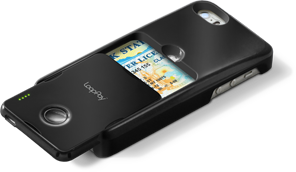 The LoopPay technology is different than the NFC or credit card approach. 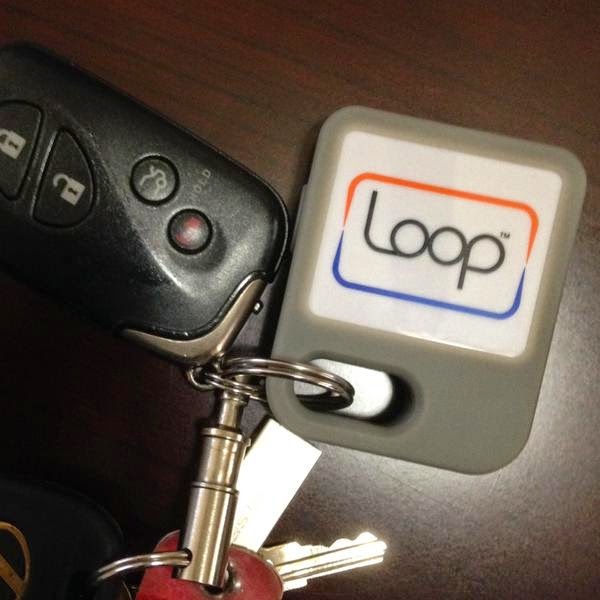 LoopPay essentially creates the same magnetic field that swiping a card does and sends the information within a 3 inch radius to any credit card reader. I even got it to work on my square reader. No need to swipe anything, just get it close to the credit card reader. No NFC chip is required. No ApplePay account is required. Virtually, all credit card machines will work so long as they don't need to detect a real swipe, like at ATMs and gas stations. They say it works at 95% of readers, while ApplePay only works on 2%. My testing does show that it works in most places and people are very surprised how it works. I originally got the Card Case for $60. It fits only my iPhone 5 and the transmitter slides on and off. They used to make a ChargeCase that would also charge an iPhone 5. They have since discontinued that, but I like the idea of having extra power to charge my iPhone. I found the ChargeCase on Ebay for $15 and won it at auction. I was the only bidder. This package also includes a fob that is used to scan in new cards and also is a stand alone transmitter. So you are really getting to devices in one. The older ChargeCase also included a key chain fob. I forgot my wallet and phone today, but had the fob and was able to pay McDonalds for my breakfast without issues. The cashier was like, what was that?